I’m on a mission to get my pond sorted out this year. As you know, we inherited the fish pond when we bought the house – it had four gold fish and one Koi in it – no plants whatsoever and it’s not a great looking pond. There were hedges growing on either side of the pond that were so overgrown they were sort of growing into the pond and all in all – it was not my favourite thing in the garden. But I love the sound of the water trickling – the ponds is situated right outside my office – if I turn around I see it through my glass doors – in summer the doors are always open while I’m working and I hear the water trickling all day whilst I work. Its lovely – and this year I plan to make it beautiful. A good friend of mine gave me Irises from the pond in his garden which I am busy potting and adding to my pond (I LOVE Irises) and Im busy re-potting the plants I have in there into fresh/bigger containers. I’ve been researching how to lay mosaic tiling … at the moment its just plain cement and the sides are blackened which looks very unattractive – so I want to lay blue mosaic tiles on the inside of the pond. So far I’ve researched and measured … thats as far as I’ve got. The research and planning continues … but first to sort out all the plants. Say it ain’t so. You BOUGHT water hyacinth? At a nursery? That is an invasive alien. 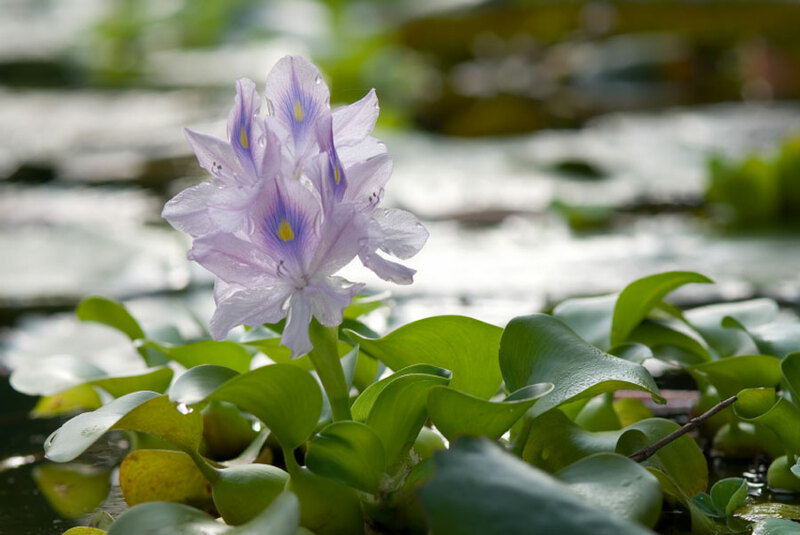 Have you ever seen huge trucks along the Liesbeeck river driving away laden with water hyacinth. Yes it is pretty. We had it years ago. But no way should the nurseries be selling it today. You don’t need to shade your water, otherwise you could use waterlilies. The blue one is indigenous. Waterblommetjies float, and you could eat them. Then there are all sorts of reeds, but beware of the roots. We are busy relining our pond. BTW I found you because you are on the waiting list at Blotanical. See you there soon. Hi Elephants Eye – Yes, I bought it at Ferndale Nursery in Constantia. I know NOW thats it is considered invasive because I found that out when I was looking it up on Google – but thought that applied only in the USA. But I won’t let it get out of hand. I can’t, its a relatively small pond. I’ve had mine for over two weeks now and its still the same size as before. No doubling happening here … must be all the shade . Where can I get Waterblommetjies? Can you recommend a good “pond plant nursery”? We did once buy waterblommetjie, but they say you can just chuck a bit in the pond, next time you buy it to cook. 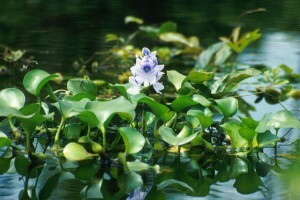 The best source of pond plants is a good friend – most of them grow like mad, even if they are not ‘invasive’.